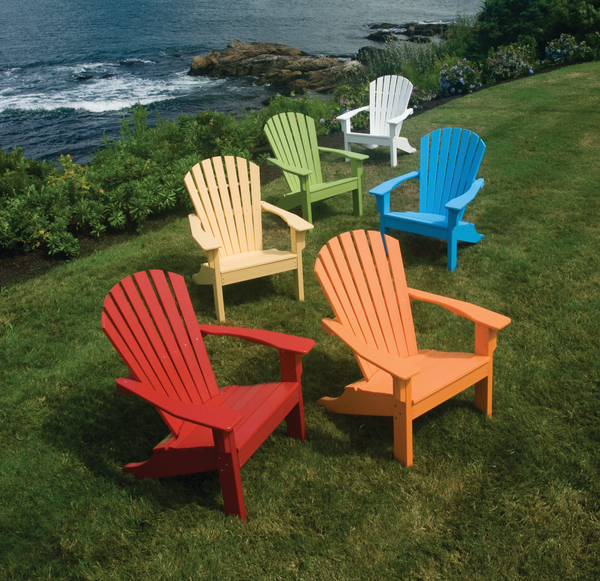 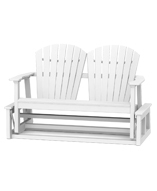 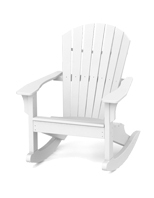 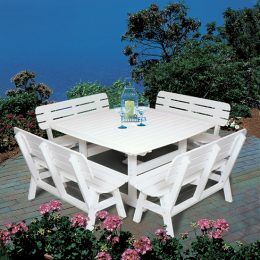 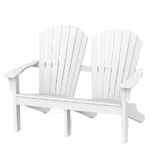 The Shellback Adirondack collection is Seaside’s best selling collection. 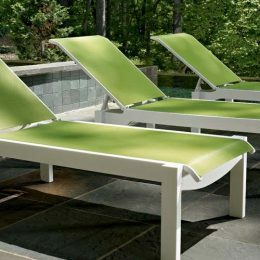 Comfort, durability, and style this collection has it all; seating, dining and bar height groups ready for your outdoor living space. 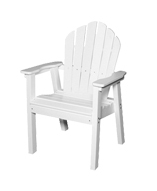 The Shellback collection gives you a dining chair with a slight recline. 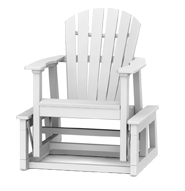 Sit comfortably all evening with friends and family in a dining chair with the comfort of a lounge chair. 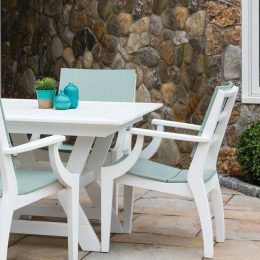 Because this chair is a combination of dining and lounging and can be paired with both dining tables and accessory tables, it will give you flexibility of use in any space.